The ATLAS REGULAR DRIVE is designed to work horizontally with maximum speed 40cm/sec. The ATLAS DRIVE is equipped with both IN and OUT control connectors, allowing the creation of a 3 axis Motion Control system, by using BULL HEAD - our heavy duty remote head. Silent movement and high precision of control (repeatability of programmed motion) are its main assets. 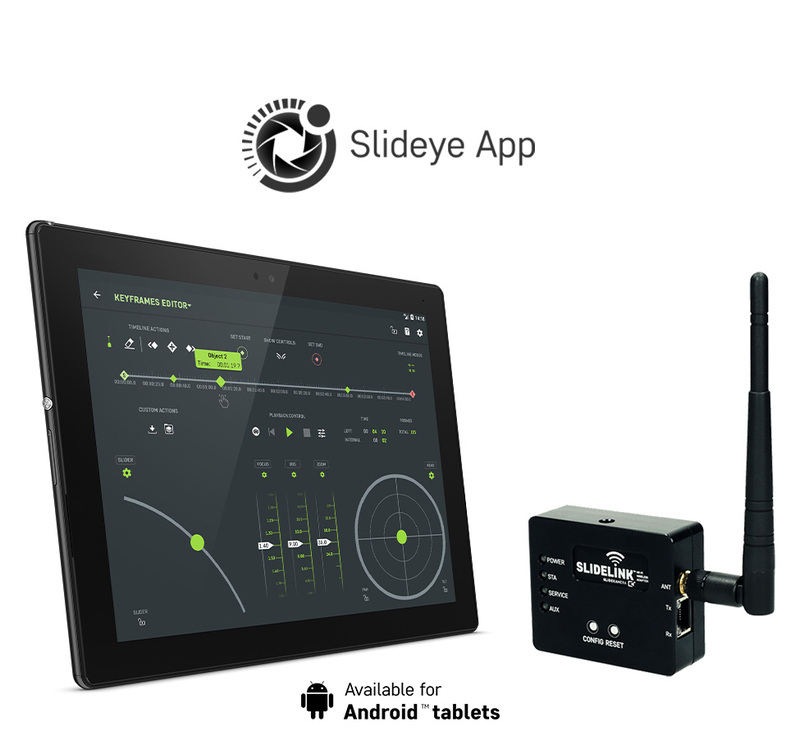 It can be controlled remotely with the Slideye™ PRO Android tablet App using the SLIDELINK™ Wi-Fi Adapter or with model builders’ RC controllers. The ATLAS DRIVE is designed to work horizontally with maximum speed 0,4m/sec. ATLAS MODULAR DRIVE can be controlled by a physical controller or a mobile app, available for Android tablets. For correct operation of the app the SLIDELINK™ Wi-Fi Adapter is required. Controlling Slidekamera® modular system is now more comfortable, powerfull and precise than ever.